Prelude To A Kiss | Bridal Style | Style Weekly - Richmond, VA local news, arts, and events. Start earlyGive yourself a little time to sit back and enjoy your engagement, but don't wait too long to get started on the wedding planning. Waiting to pack a lot of planning into just a few months can cause your stress levels to skyrocket. Work together Schedule an afternoon, evening or weekend where the two of you can sit down together to plan and focus on getting things done. Make a list of details to be taken care of, then assign responsibility as seems appropriate. This will eliminate the frustration of doing things twice or not having them done at all. If you have family that wants to help, pencil in some tasks for them and then get their okay to help. Pick your battles As you plan, you will inevitably run into snags. There will be things that you want, things the love of your life doesn't want, and plenty of coordination in between. As things arise, remember that flexibility is key. Try bending on the small stuff and save your battles for the things that are really important to you or your spouse-to-be. Watch the details When working with your wedding vendors, be sure to clarify all the details and your expectations. Get and review a contract from each vendor that specifically states dates, times, locations and any other pertinent information. Read all the fine print and don't take anything for granted - spell out literally everything! As you get closer to your big day, take some time to double check all the details one last time. The Checklist Using a checklist can be a handy way to make sure you've thought of all the essentials. Because each wedding is unique, you may have steps you want to eliminate or add. Begin by using this as a starting point and happy planning! Buy a wedding calendar or planning notebook. It's all in the details when planning a wedding. A calendar or notebook will keep you organized and focused as you countdown to your big day. Set the date, time and location of your wedding and reception. Coordinating when you and your fiancé, your families and friends, the wedding officiant and the site(s) are all available can take some time. The earlier these important decisions are made, the better. Mail save-the-date-cards. If you're getting married during a holiday, have out-of-town family or friends, or are planning your wedding at a site that requires guests to travel, send out these handy notification cards as soon as possible. Establish a budget. To avoid overspending, it's crucial to know how much money you have to work with before your wedding plans get too far underway. When putting together your budget, be sure to consult with everyone who will be assisting with your wedding's expenses so you know up front what the bottom line is. Choose your wedding's style. Formal or casual? Large or intimate? Indoor or outside? Now is the time to make these exciting decisions and start incorporating them into your wedding plans. Start shopping around for dress ideas. Use your unique sense of style and the time and location of your wedding to guide you as you begin the quest for the dress of your dreams. Begin researching vendors and hired help. Start scouting options for a wedding consultant, caterer, florist, baker, photographer, musician(s), etc. With everyone's services in great demand for weddings, you'll want to book early. Share your good news by printing an engagement announcement in the newspaper. Decide on the ceremony. You and your fiancé should meet with the person who will be performing your wedding ceremony to discuss the service. Be sure to address any special ethnic, cultural, or religious traditions you'd like included, as well as any pre-marital or couples' courses you and your fiancé may be required to take. Make plans to meet with your officiant one more time about two months before your wedding to confirm details such as vows, readings, and music. Choose your attendants. Ask your choices if they'd like to be in your wedding. To help them make a decision, be sure to give them as much information about the event (date, location, style, any costs, etc.) as possible. Start the invitation list. Based on your wedding's size and on input from appropriate family members, start your invitation list. Usually half the list is allotted to the bride and her family, with the other half going to the groom and his family. Try to have this list finalized nine months before your wedding. Confirm vendors and hired help. Once you've interviewed possible candidates and have made your decision, seal the arrangement with a written contract. Whether it's a wedding consultant, baker, DJ, or videographer, you'll want to have everyone booked at least nine months out. Decide on a menu Whether working solo or in conjunction with a caterer, now is the time to develop a menu for your wedding. If you are using a caterer, have all the details outlined in a written contract and send in the deposit. Set up appointments with florists. Start consulting florists to determine the types of arrangements you'd like to include at your wedding. Plan on making a final decision about flowers at least nine months before your wedding. Order your wedding dress Believe it or not, now's the ideal time to order your wedding dress. Choose a color scheme and/or theme. From the color of your dress to the reception decorations, you want to make sure that every aspect of your wedding is a perfect match. Assign responsibilities to the maid/matron of honor and best man. Whether it's serving as your attendants' spokesperson or safekeeping your fiancé's ring for you during the ceremony, be sure to discuss with these key people what their roles should be. Choose your bridesmaids' dresses Ask one attendant, whose opinion you trust, to shop with you for your bridesmaids' dresses. Once a decision's been made, be sure to let all of your bridesmaids know what they need to do to order their outfits. Order your wedding stationery Confirm the wording and design of your invitations, response cards, maps, and thank you notes. Book a calligrapher now if you're planning to use one. Set up a bridal registry Be sure to take some time to register for gifts. Once you've done this, remember to let everyone know where you've registered and to update the list periodically as gifts are purchased. Order your cake Decide on the type of cake (or cakes) you'd like and place your order. Make hotel reservations for out-of-town guests Block some rooms at both luxury and budget hotels. Let your guests know what they need to do to confirm their reservations. Choose music for your wedding ceremony If you're planning to include music as part of your wedding ceremony, it's time to make those arrangements. Make honeymoon plans You don't want to wait until the last minute to make plans for something this important - especially if you need to make special arrangements, such as airline tickets, passports, etc. Secure rentals. If you're marrying at a private residence or in an unfinished space, don't forget to order any tables, chairs, linens, glassware, tents, etc. that may be needed. If you're working with a caterer or site manager, confirm with them that these items have been reserved. Make portrait arrangements. If your wedding photographer doesn't offer this service, schedule to have one taken with a portrait photographer. 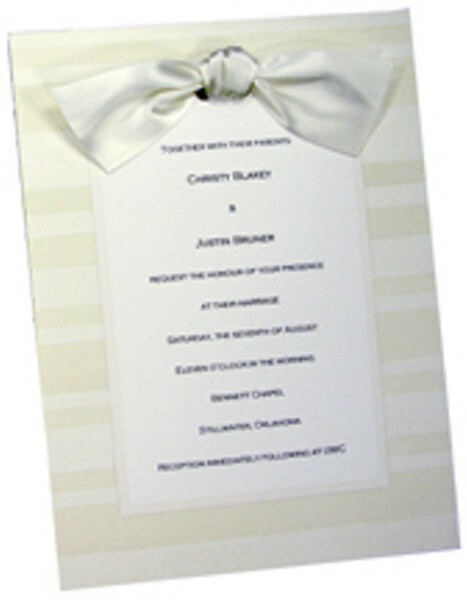 Finalize your guest list and start addressing the wedding invitations. This process usually takes longer than expected, so allow plenty of time. Confirm the groom and groomsmen's attire. If rentals are required, select and reserve suits at a formalwear store located in the same vicinity of the wedding. Make an appointment for your first dress fitting. Schedule the rehearsal and the rehearsal dinner. If necessary, make reservations. Choose a dinner menu. Make wedding night arrangements. Whether it's reserving a hotel room for you and your fiancé or making sure that the two of you have a ride to the airport, these are the wedding day details that you don't want to overlook. Extend invitations to ceremony participants. Invite people you'd like to have as part of your wedding (readers, soloist, etc.). Confirm program and vows. Draft your ceremony's program and, if needed, your wedding vows. Mail your wedding initiations. To make sure you use the right amount of postage, take one complete invitation to the post office and have it weighed. Make moving arrangements. If necessary, make plans to consolidate households. Send change-of-address cards to the post office. Complete name-change forms. If you're changing your last name, complete the necessary paperwork with the Department of Motor Vehicles, Social Security Office, credit card companies, employers, etc. Have your wedding portrait taken. Have a blood test done. If a blood test is required, the doctor will see you now. Purchase lingerie and honeymoon clothes. Buy gifts for the wedding attendants. Remember, it's the thought that counts, not the price tag, on these thank you gifts. Conduct hair and make up trial runs. To eliminate unwanted surprises on your wedding day, schedule hair and make up trial runs for the bride and bridesmaids well in advance of the big day. Schedule wedding day beauty appointments. Once satisfactory results come in from the trial runs, schedule final appointments for the bride and bridesmaids. Make wedding day transportation arrangements. Whether it's reserving a limousine for the bride and groom or ensuring that guests have a ride to the airport, it's important to make sure you have plans in place to cover all of your wedding day's transportation needs. Start sending thank you letters now. There's no better time like the present to send out your engagement and bridal party thank you notes. Buy a guest book & a nice pen. Create a wedding day keepsake with this book your guests can sign. Confirm all hotel, wedding dress, and formal wear arrangements. Schedule your final dress fitting. Pick up the wedding rings. Send your wedding announcement to the newspaper. Develop a wedding day action plan. Create a list outlining who, what, when, where, how and why. Finalize your wedding program. Once confirmed, have it printed. Confirm seating arrangements. Finalize seating arrangements for the rehearsal dinner, wedding, and/or reception. Write out table and place cards. Submit a photo list to the photographer/videographer and a play list to the musician(s) or DJ. Be sure they have plenty of time before the wedding to review the lists, especially if they need to be aware of any "must" photo shots or songs. Conduct last minute confirmations with all of your wedding vendors and hired help. Check and double-check your wedding and honeymoon arrangements, including reservations, headcounts, dates, locations, and delivery plans. Write rehearsal dinner and reception toasts. In situations like these, practice really does make perfect. Assign a family member or close friend to track wedding gifts brought to the reception. Make final wedding day payments. If necessary, put final payments (for caterer, musicians, etc.) into clearly marked envelopes and then designate a trusted friend or family member to be responsible for distributing them on your wedding day. Pack for your honeymoon. Make sure your traveling clothes are in order! If you're staying at a local hotel before leaving for your honeymoon, put together an overnight bag and make arrangements to have it delivered to your room on your wedding day. Give the caterer a final guest count. Break in your shoes. To avoid any slip-ups on your wedding day, kick up your heels and scuff the soles of your shoes while you're working on last minute plans. Make sure you have access to cash while honeymooning. Confirm in advance that ATMs are available where you'll going. If necessary, take some travelers' checks or a small amount of local currency (if traveling abroad). Remind attendants and other participants of rehearsal details. Pick up your wedding dress. Distribute copies of the ceremony readings to the people who will be doing them. Throw a bridesmaid's party. This is a nice way to give each bridesmaid her gift along with your special thanks. Pamper yourself with a massage or a manicure. Have the rehearsal and rehearsal dinner. Get a good night's rest  go to bed early. Eat well. Remember, nerves don't mix well with an empty stomach! Send out your remaining thank you notes. Now is the time to recognize all the people who helped to make your wedding so special. Be sure to send thank you notes to those who gave gifts, provided assistance, etc. Confirm the delivery dates of your wedding photos and/or videotape. Have your wedding gown and other mementos preserved. Confirm all vendors have been paid in full.